Q. 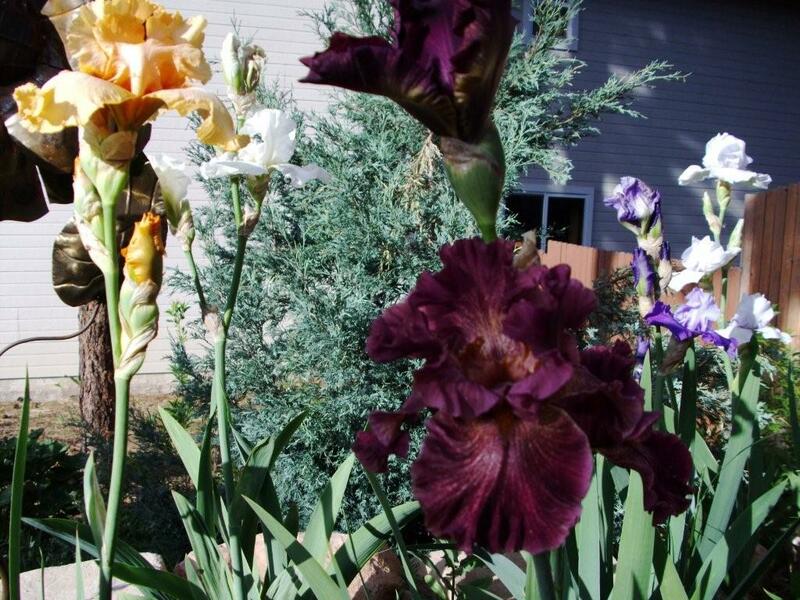 Spent big bucks on iris bulbs. Missus told me to fix up the front yard. Said that old, rusty plow “just doesn’t cut the mustard anymore,” least ways not since that damned Master Gardener moved in next door. Keeps looking at me like I was a primitive, kind of weird like. Anyways, all I got was spikey green, no flowers. Told they didn’t need much care, and that’s just what they got. A. They aren’t bulbs, but rhizomes. “Little care” doesn’t mean “No care.” If those rhizomes were your children, you’d charged with child neglect and tossed in the hoosegow. Here are some guidelines about parenting rhizomes. Ideal children, they don’t demand a lot. They’re not dependent personalities. They’re real self-starters. You feed children. 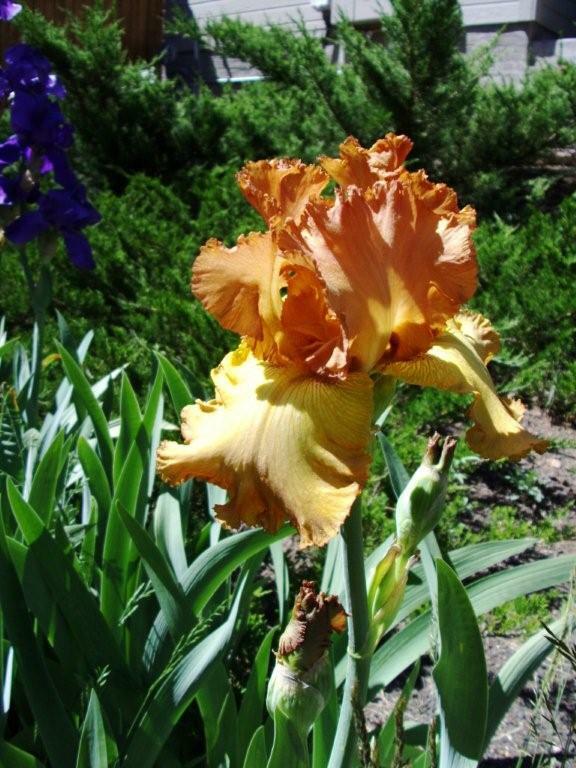 Irises are fed about 6-8 weeks before they bloom and after their blooms are gone. No lawn fertilizer. Too much nitrogen. Nitrogen for iris is like candy for children. It rots their rhizomes, instead of their teeth. Use bone meal or super-phosphate because phosphorous makes for root growth. All root, they need lots of phosphorous. Think bone meal. Next is potassium. 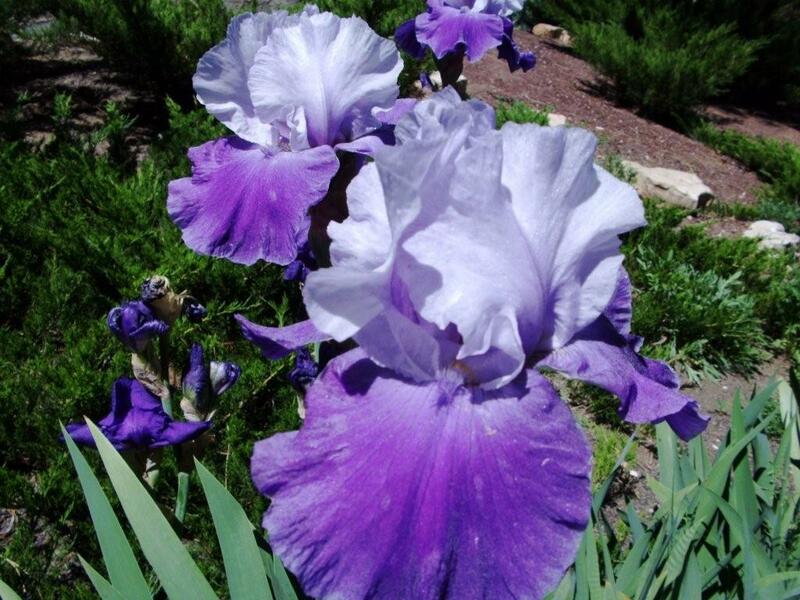 You need potassium for your cardio-vascular system just like irises need it for their health and growth. I hope you make your children clean their rooms and make their beds. 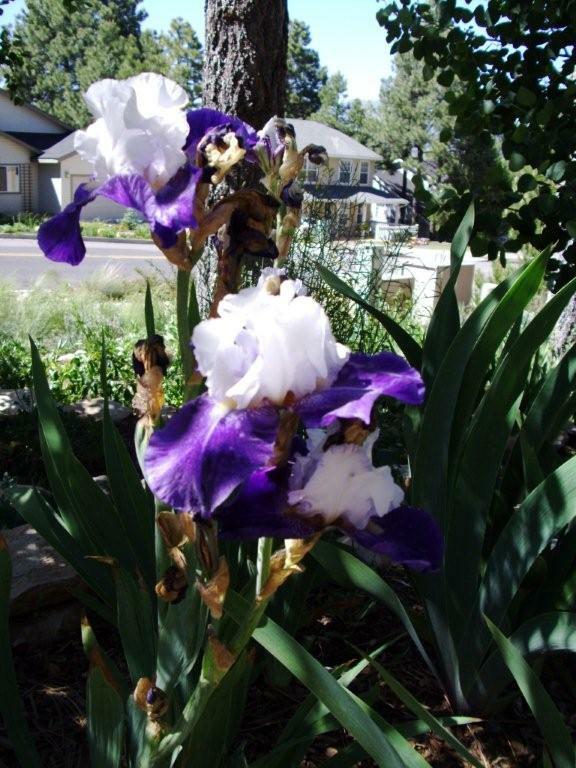 Well, irises need clean beds and rooms. They need weeds picked, just like you don’t let your children hang around with juvenile delinquents and other morally challenged youth. Finally, you don’t want your children wasting their energies in frivolous pursuits, like video games. Children need discipline just like irises. 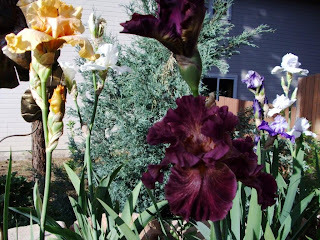 After the irises have bloomed, cut the flower stocks close to the ground. This is allows their energy to go back into the rhizome instead of frittering it away. Your wife is right. That rusty old plow is an eyesore. You aren’t a farmer anyhow. 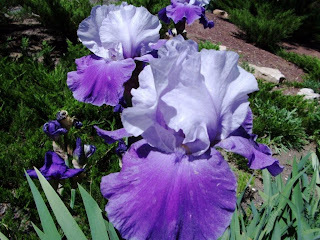 The proper plural for iris is irides. 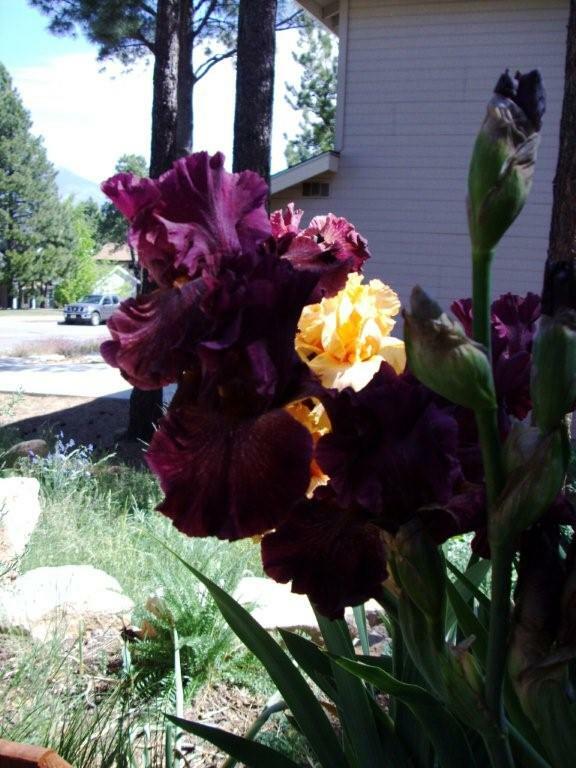 Iris is a Greek word meaning rainbow. Dress up your front yard, and your wife won’t serve you cold sardines for breakfast anymore. Maybe, even that weird looking Master Gardener with the creepy hat will give you a hand if you’re lucky. Q. My name is Abigail. I’m married to a man named Rusty who thinks that a front yard of gravel, weeds, and a rusty old plow is the cat’s pajamas. He says it celebrates the early days of Flagstaff when “men were men” whatever that means. I threatened him with cold sardines for breakfast, just like early cowboys ate, if he didn’t get off his big, fat behind watching “Ice Road Truckers” and fix the front yard. Our new neighbor just shakes his head. 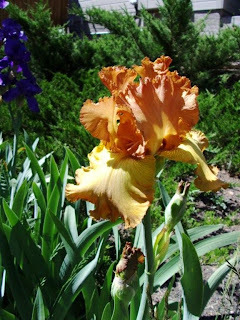 His wife is real nice and friendly and suggested that the easiest thing to grow were bearded irises and that they were quite beautiful. Even said that they could be planted in groups right in the middle of that damned gravel. Rusty dug’em in, but they just kind of pooped out. What do you suggest? don’t dig’em in but settle them in, just like they’re putting your children to bed with a light blanket over them and just their heads sticking out. First, prepare the bed, by digging in compost, phosphorus, and potassium, and then let it sit for a week or so. 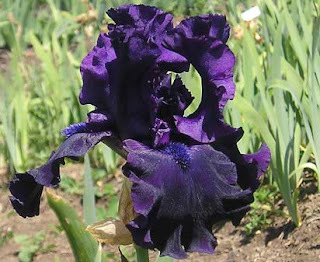 A noble flower, irises require a fine bed. Then make a small mound and settle the rhizomes into the bed, covering them with a thin layer of soil while leaving the leaves above the soil. Then for the first few weeks water them so that the soil is damp, but not wet lest the rhizomes rot. All this should de done toward the last of summer or the beginning of fall so that the rhizomes will have time to develop roots before winter sets in. Try making him nice breakfast hash browns, bacon, and eggs sunny side up. That’s the best way to his heart. He may get off his behind and fix up the front yard. Ask that Master Gardener to lend a hand. That’s what he for. Dana Prom Smith edits and writes GARDENING ETCETERA for the Arizona Daily Sun and can be emailed at stpauls@npgcable.com.